Bianca is not following anyone. Bianca Gates is a sales executive at Facebook Inc and the co-Founder of Birdies, fashionable women's slippers for the home. Bianca Gates is a sales executive at Facebook and brings 15 years of sales and marketing experience from television, digital and social media. In her current role at Facebook, Bianca leads retail partnerships to help retailers leverage Facebook Inc's portfolio of platforms. 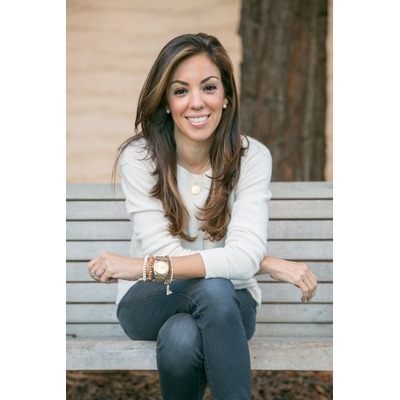 In addition to working at Facebook Inc, Bianca is the co-Founder of Birdies, fashionable women's slippers for the home. Bianca launched Birdies in November 2015 solving the age-old problem of how to stay fahionable and comfortable at home. Learn more at birdiesslippers.com. Bianca is a graduate of the University of California at Irvine with a B.S. in International Studies and lives in San Francisco with her husband and two small children. Bianca was mentioned in a VatorNews article "Birdies lands $2M for comfy women's slippers"
Bianca was mentioned in a VatorNews article "Video: Fireside Chat with Toni Ko and Bianca Gates"